The Partagas 8-9-8 is a rich and complex medium-full Lonsdale, 6.7” (170mm) long, of 43 ring gauge, and comes in a varnished cabinet of 10 cigars.This Partagas is named after the number of Habanos placed on each layer of the cabinet, there are 8 cigars on the top and bottom row and 9 in the middle one. This is a great cigar that is medium-to-full body, which will better suit a Cuban cigar aficionado rather than a newcomer to Habanos. Thanks to its almost perfect construction, it offers an amazing draw, and burns beautifully throughout the entire cigar, while a luxurious ash builds up at the foot. 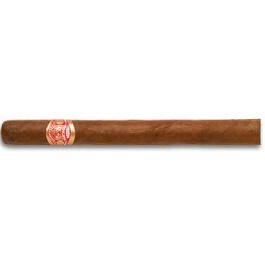 The 8-9-8 provides typical Partagas flavors, lots of charred aromas, musty earth, wood, cocoa, leather. These are strong flavors, as expected, mixed with some fruity notes, some nuts, some pepper, and some Asian spice. This is definitely not an everyday smoke, but a very tasty and complex cigar that worth keeping in the humidor. It also has a great potential for ageing.